The Skytronic 103.202 is an ultra-compact stereo amplifier with all the fundamental connections that can also be used for PA events. 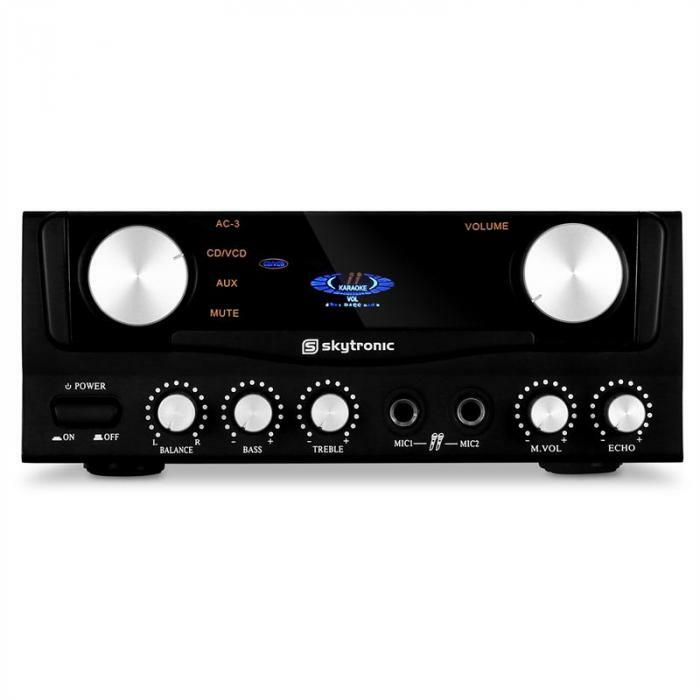 Via its two RCA line inputs the Skytronic can easily be linked to CD players, computers and other equipment. 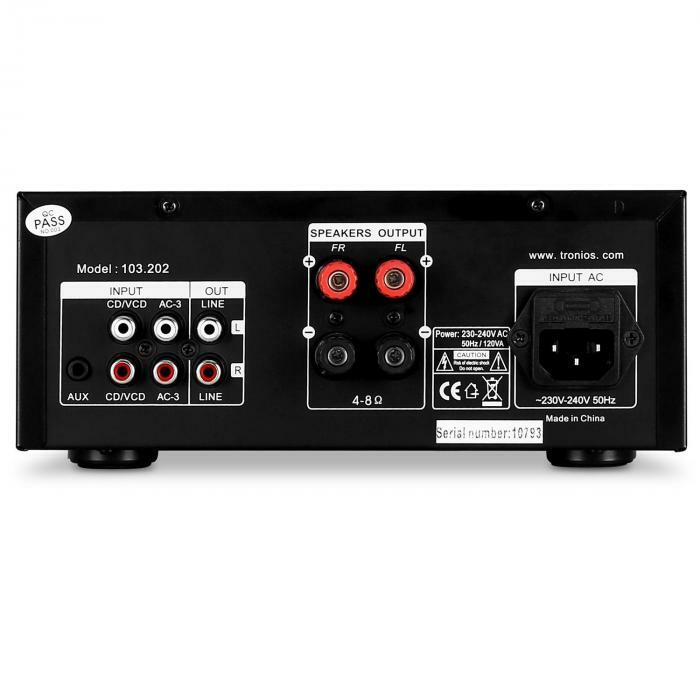 With its line outputs the power amp can be connected to active speakers and amplifiers. 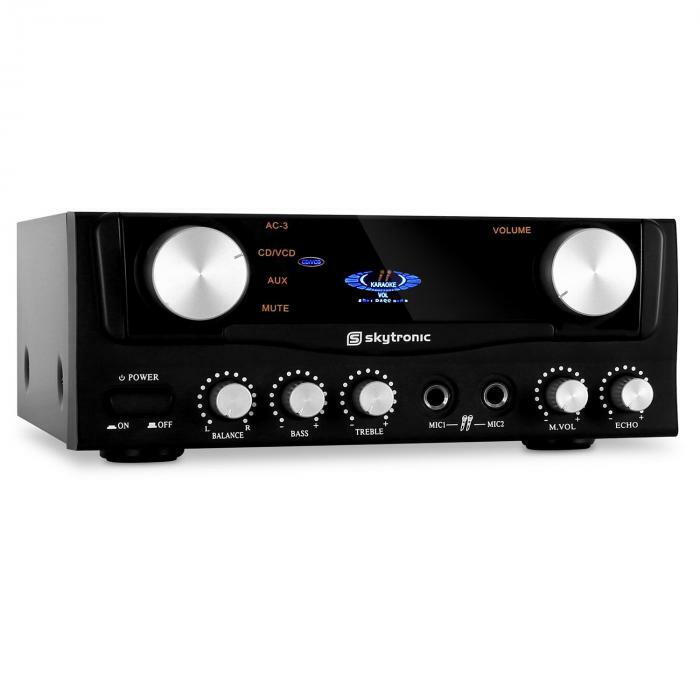 The best features on the Skytronic amplifier are its two mic inputs, which make the device perfect for any vocal-oriented event such as club nights, family parties or karaoke events. 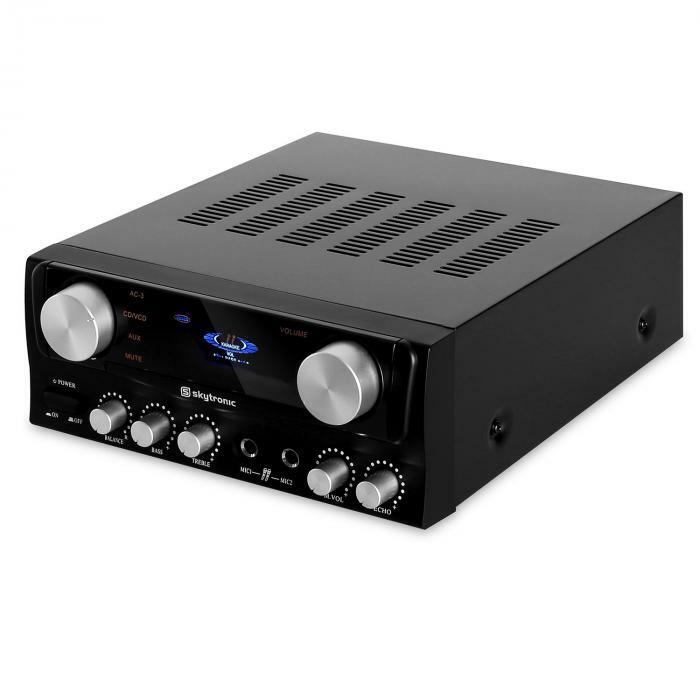 With its 2 x 50W RMS the amplifier is sufficiently equipped to handle almost any needs for small events. 2 x 50W RMS - equivalent to 400W max.